Correct documents are important whether you're traveling between countries or applying for a driver's license. A person with a certificate of citizenship doesn't have a passport and vice versa. They cannot be used for the same things. Since some activities require a passport and others require a certificate of citizenship, determine exactly what you have and what you need. A certificate of citizenship is a document certifying that you hold citizenship in a country where you were not born. For people born in a country, their birth certificate proves that they hold citizenship. In the United States, the Department of Immigration issues Certificates of Citizenship to people who qualify for United States citizenship based on their parentage. A passport is issued by a regulatory agency in almost every nation on Earth. In the United States, the Department of State handles passports applications. Passports are a form of identification accepted internationally to prove not only identity, but citizenship. Passports must be renewed every 10 years if you are 16 or older when it is issued. If you are 15 or younger, renew every five years. Both a passport and a Certificate of Citizenship show your legal name, birth date and citizenship status. You may actually need to use your Certificate to file for your passport, since you must prove your citizenship status before the State Department will issue you a passport. Both are issued by government agencies and both require that you prove your name and residence details. Your passport displays your photo; a Certificate of Citizenship does not. A passport is a required form of documentation for traveling internationally. A Certificate of Citizenship merely proves your citizenship status and is not a commonly accepted form of identification. While passports are issued to almost everyone, the United States only requires those who were born abroad to United States parents without a consular report of birth abroad to apply for a Certificate of Citizenship. A Certificate of Citizenship application is more concerned with your parents citizenship and the details of your birth; a passport application requires your picture, current address and citizenship details. Parker, Melly. "Difference Between a Certificate of Citizenship & a Passport." 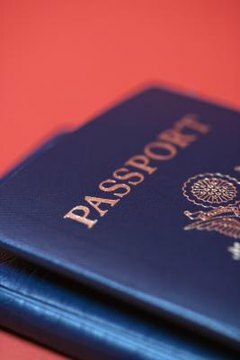 , https://legalbeagle.com/12138289-difference-between-certificate-citizenship-passport.html. Accessed 19 April 2019.